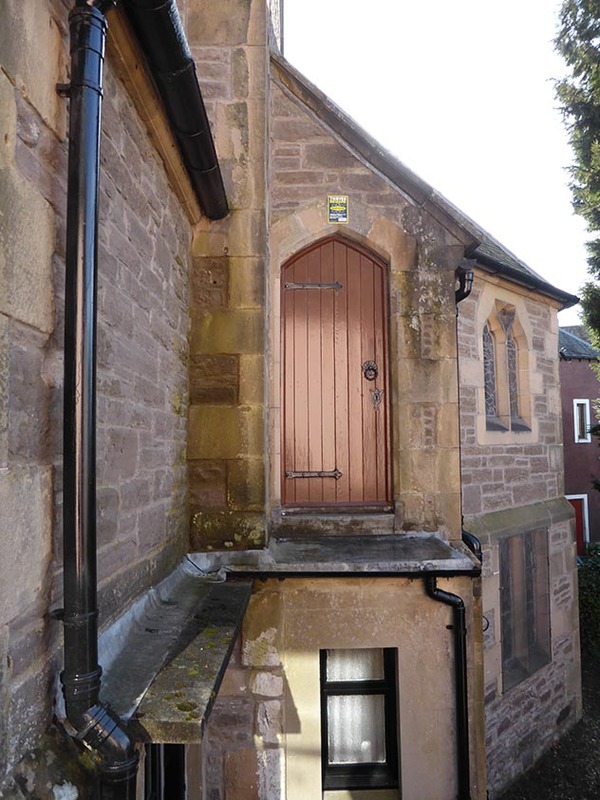 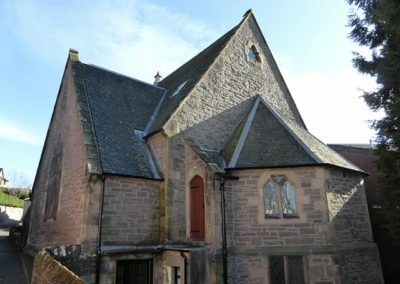 Open 1854 as the Free Church which through unions became East United Free Church and East Church of Scotland. 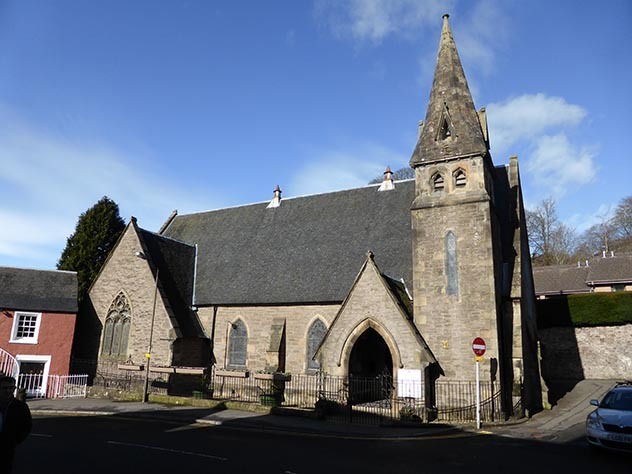 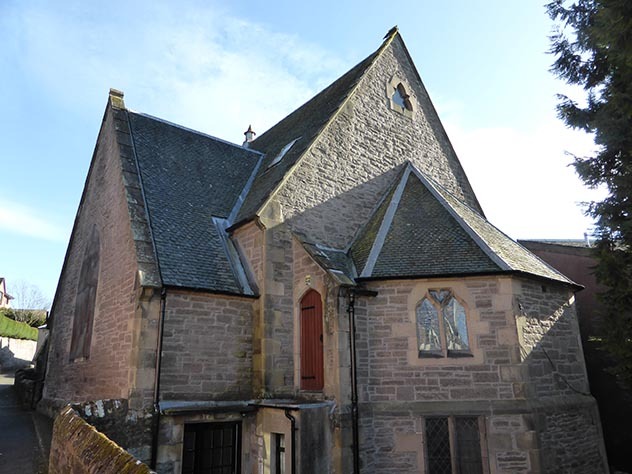 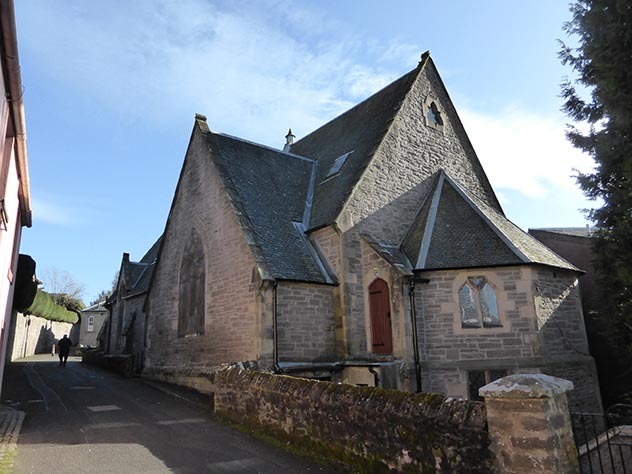 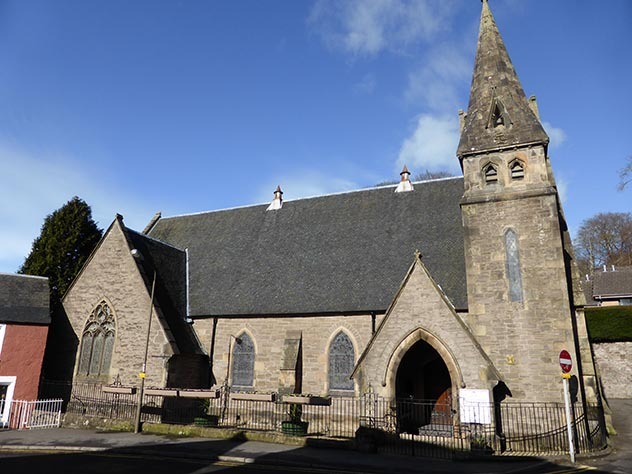 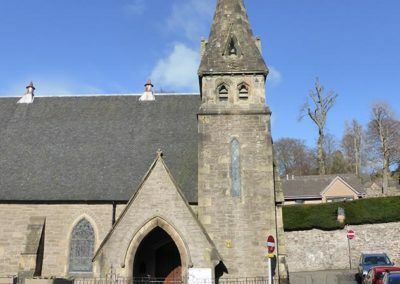 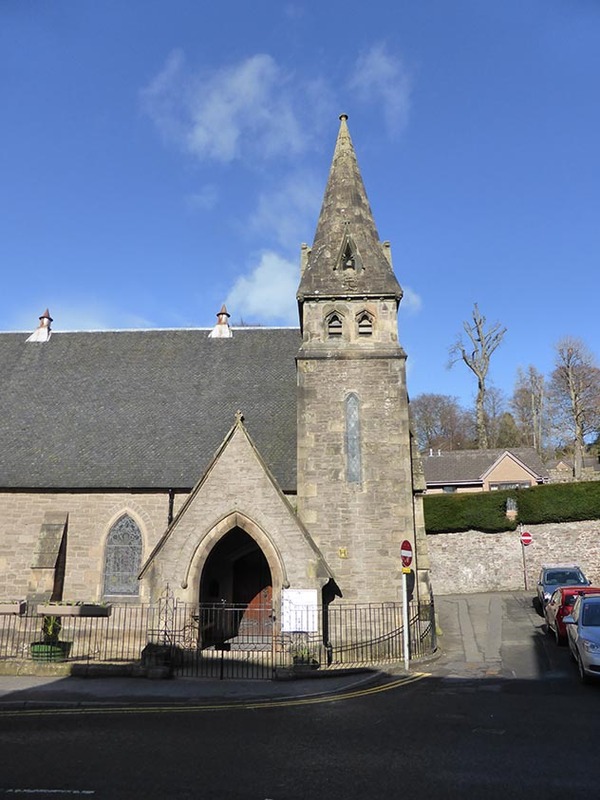 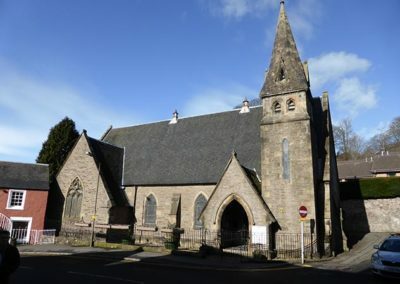 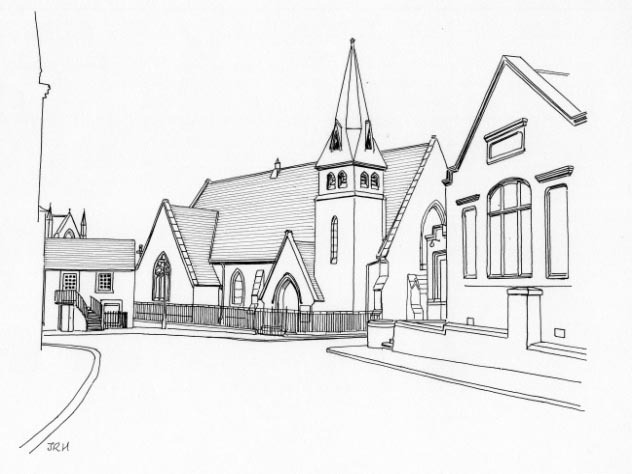 United with the former Leighton Church in 1952 to become St Blane’s Church. 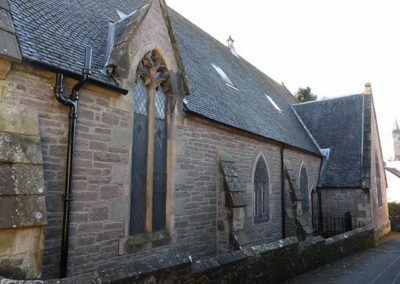 Stained glass includes windows from Leighton Church, other windows by Roland Mitton. 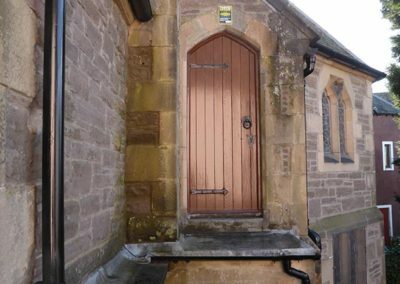 Interesting tapestries in vestibule including a reproduction of ‘The Light of the World’ by Holman Hunt. 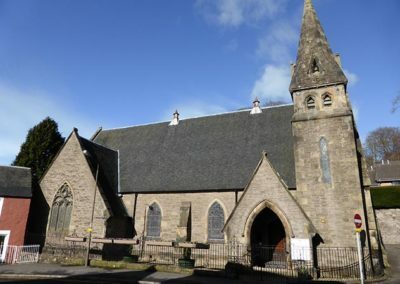 Pipe organ 1860 by Peter Conacher, perhaps the earliest example of his work in Scotland. 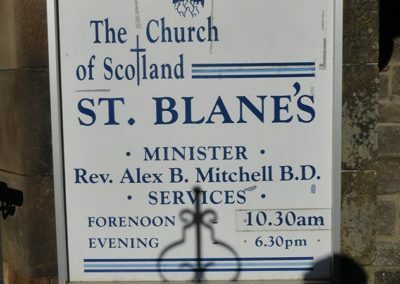 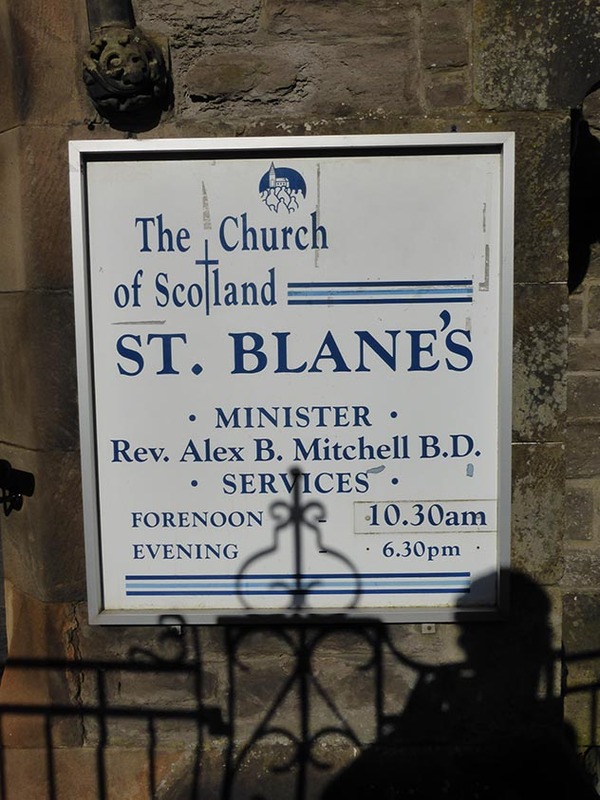 Contact St Blane's Church, Dunblane.